With fall beckoning, my desire to bake has returned with a vengeance. 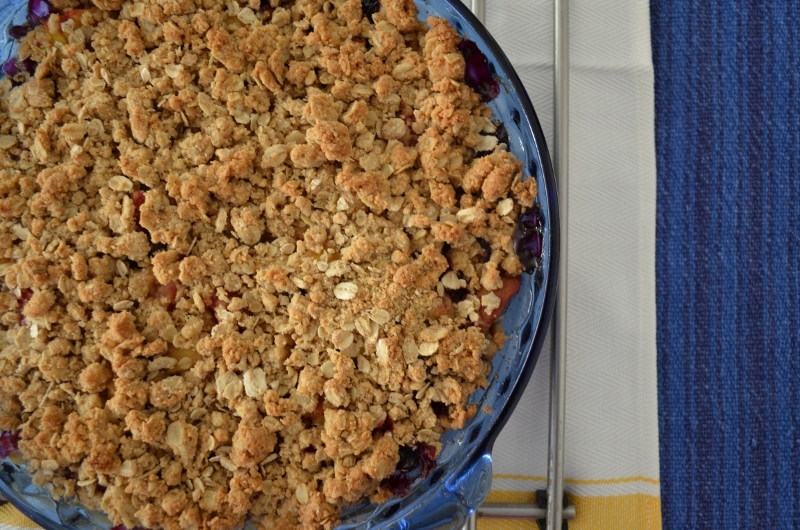 In my opinion, a sweet, tasty fruit crisp is the perfect end-of-summer dessert. 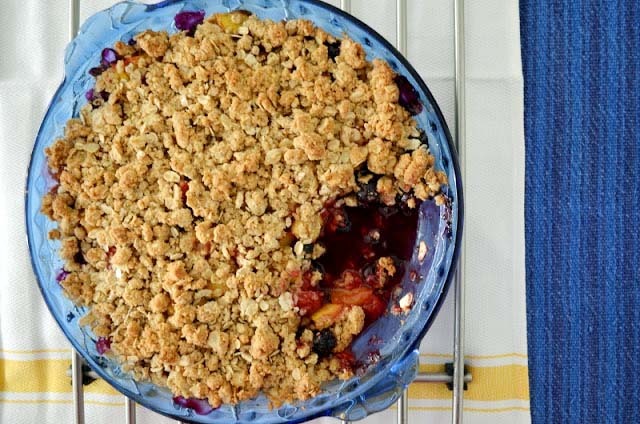 The fruit filling still says "summer," but the warm, baked oat topping is a definite tribute to fall. I call this delicious fruit crisp "Anything Goes" because you could use just about any combination of berries and fruits to make it. I happened to have blueberries, raspberries, strawberries and peaches in my fridge when I made it, so that's what I used. It turned out beautifully. It is based on a recipe from Vegetarian Times magazine. Their recipe calls for blackberries, one fruit that I have never been fond of. The fruit filling is covered with maple syrup, balsamic vinegar, sugar, flour and salt. 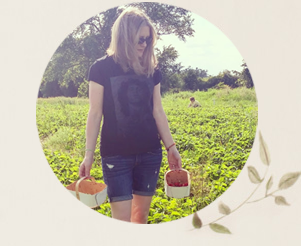 I like to use light spelt flour instead of regular wheat flour, to give my tummy a little less gluten to cope with. I used a combination of quick oats and some large flake oats to give the topping some body. As I said in this week's What I Ate Wednesday post, you might think (like I did) that a crisp is a crisp is a crisp, but this one is different, partly due to the maple syrup and balsamic vinegar. Reheat it the next day, and top it with some vegan vanilla ice cream. That is what my husband and I did while watching TV after the kids went to bed. Give it a try. I think you will be pleasantly surprised. You'll find that it's little effort with a big reward. Preheat oven to 350°F. Coat a deep baking dish with cooking spray. 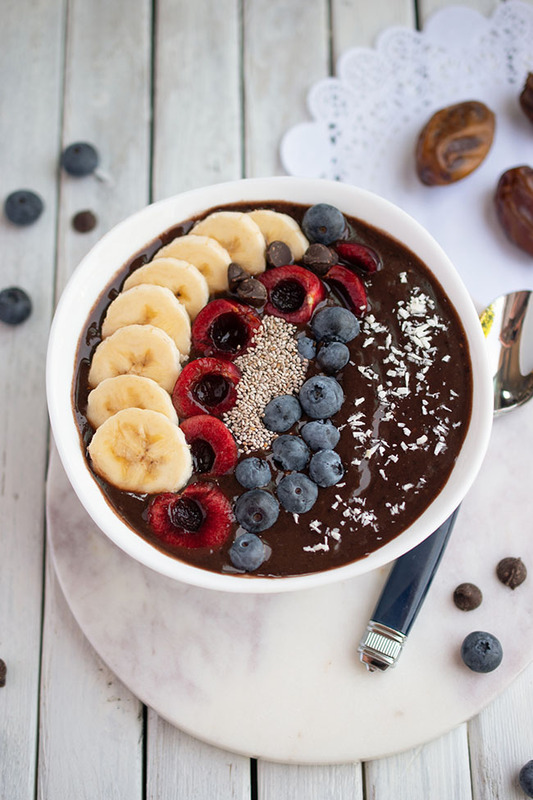 In a small bowl, whisk together 2 Tbsp maple syrup and balsamic vinegar. Place fruit in a large bowl and drizzle maple syrup mixture over it. Add sugar, 3 Tbsp flour and 1/8 tsp salt and toss to combine with the fruit. Transfer to prepared baking dish. In a separate large bowl, combine 13 Tbsp flour, both types of oats, brown sugar and the remaining 1/4 tsp salt. Drizzle oil and the remaining 3 Tbsp maple syrup over the oat mixture. Use your hands to combine until small clumps form. 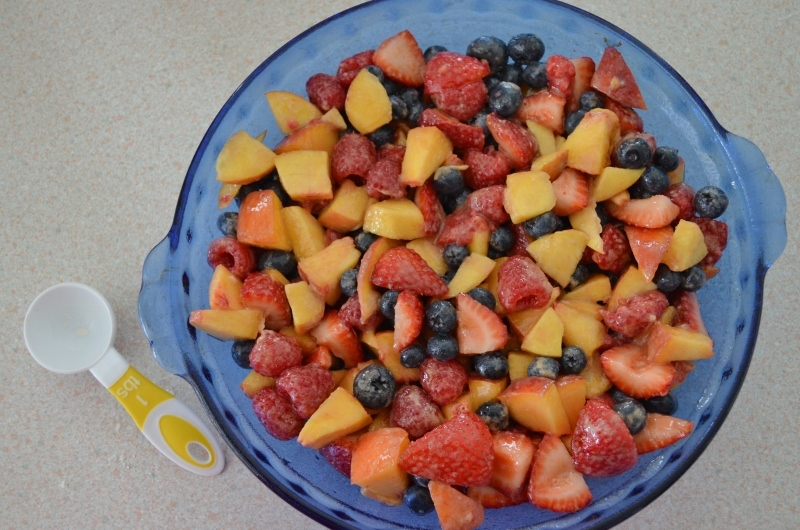 Arrange topping clumps over fruit. 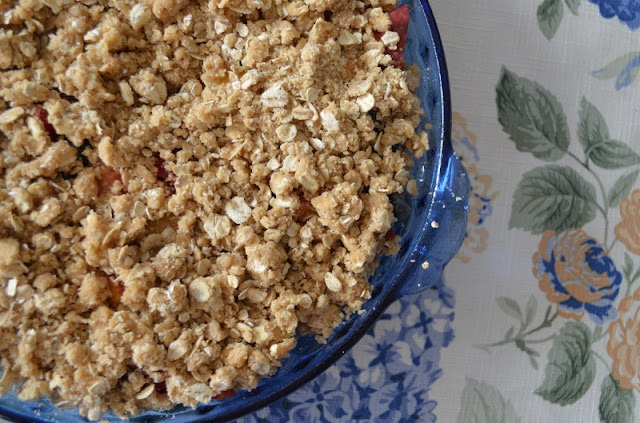 Bake 30 to 40 minutes until the topping is lightly browned and the fruit juices are bubbling just around the crisp's edges. I love crisps, I want some!! Balsamic vinegar sounds like an awesome addition to a fruit crisp- love it! Love Anything goes Combinations :D ... yummy Photos! 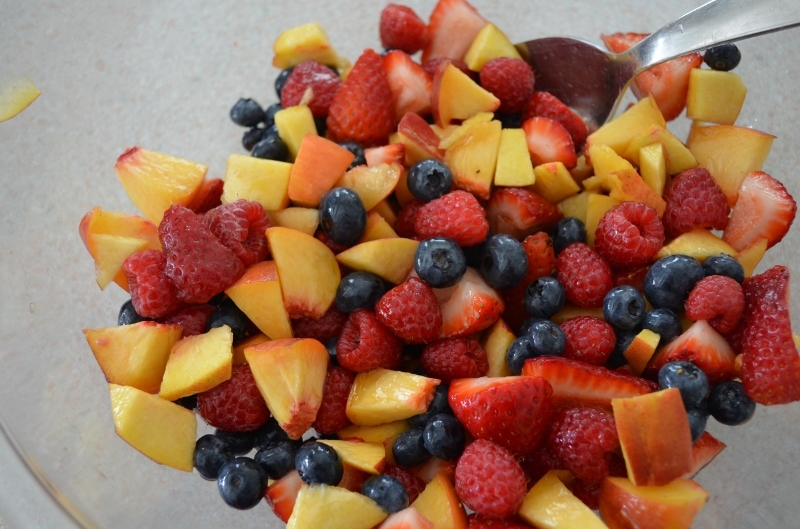 I love fruit crisps and this looks delicious. YUMMY!!! What does "divided" mean after an ingredient?